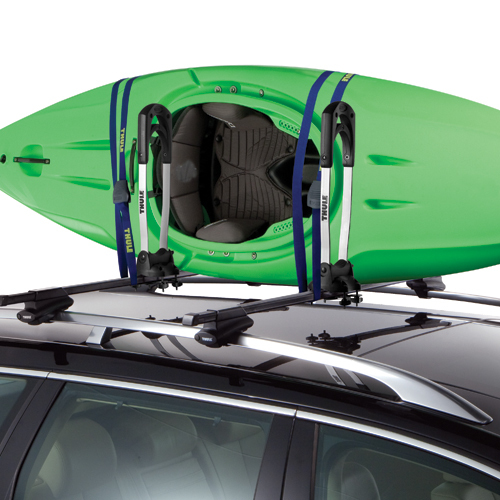 Thule's 830 Kayak Stacker is designed to firmly hold and transport up to 4 kayaks on their sides. 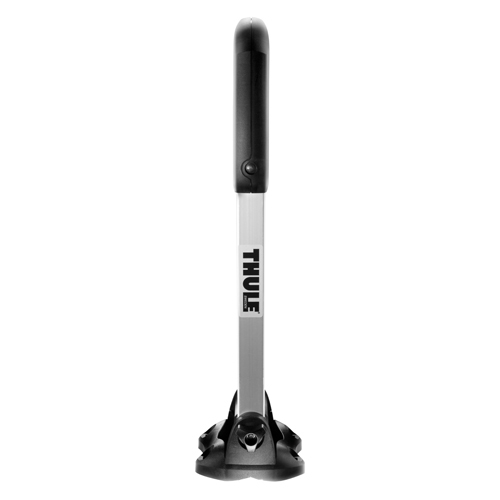 When not in use, the 830 Kayak Stacker folds flat to allow for better garage and low overhead clearance. 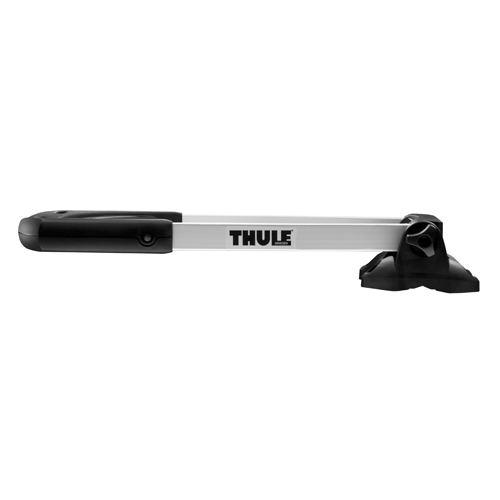 The Thule Kayak Stacker is designed to hold white water, touring, recreational and sea kayaks, but is not recommended for fiberglass or composite boats. 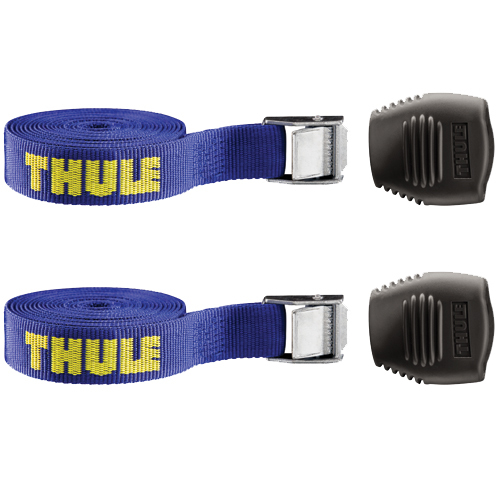 One pair of Thule QuickDraw Bow and Stern Tie Down Straps and one pair of Cam Buckle Load Straps are included to securely fasten one kayak to your vehicle. 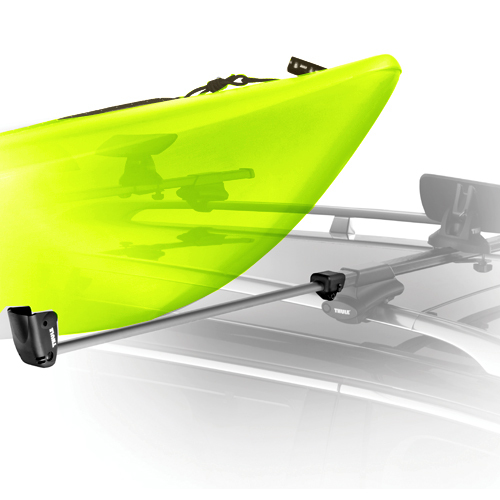 For highway safety, each kayak should be fastened independently. 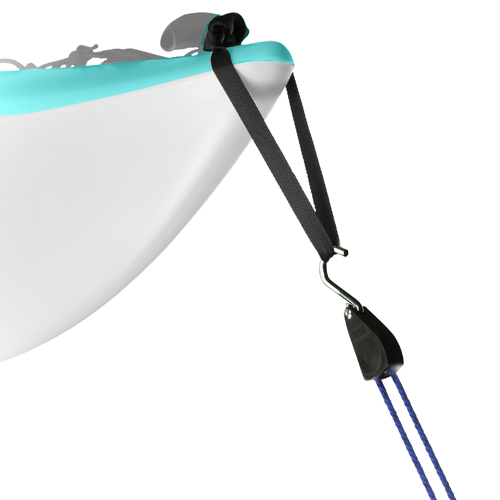 Additional straps may be purchased for additional kayaks (sold separately - see below). 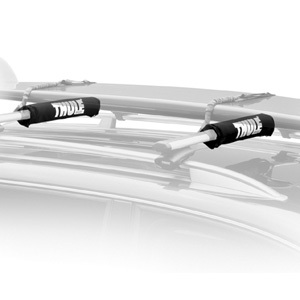 The Thule Kayak Stacker includes universal mounting hardware and fits standard and AeroBlade Thule load bars, Yakima Round Bars, and most aero wing shaped factory installed crossbars. 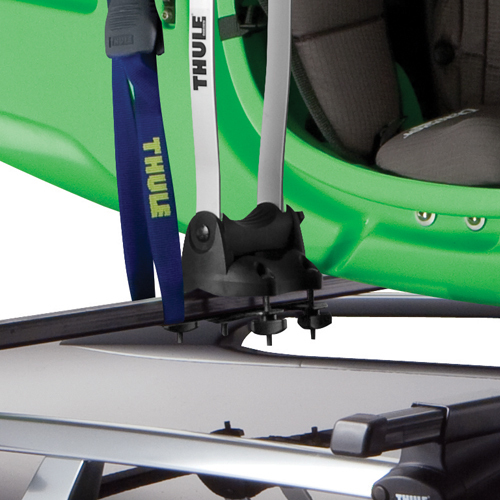 The Kayak Stacker requires Thule's Xadapt3 Kit to fit the Thule 500 Xsporter Pro.